Come take a tour with us to see the destinations Maurice visited during his vacation! In preparation for Canada Day, Maurice chose 7 iconic Canadian places to visit, some of which may be familiar to you! Read below to find out what parts of Canada he explored. Maurice first found himself in the Distillery District of Toronto, one of Toronto’s top tourist destinations during the holiday season. He then went on to travel the iconic CN tower and somehow found his way to the top, his hooves were not going to stop him! Did you know that Hamilton is the waterfall capital of the world? Well you do now! For his next stop Maurice decided to visit the Devil’s Punchbowl waterfall. 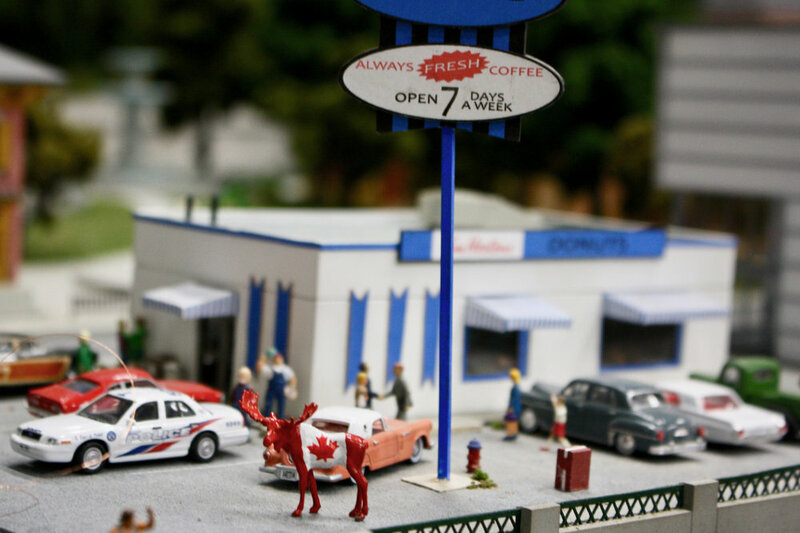 On his fourth day, Maurice had worked up quite the appetite, and decided to travel back in time to 1964 for a tasty breakfast at the very first Tim Hortons in Hamilton. ByWard Market was the next stop for Maurice. This was the perfect place for him to get in some shopping and explore Canada’s Capital before the big day. For his last destination before Canada Day, Maurice decided to crash a wedding at the historic hotel, The Chateau Laurier. Maurice finished up his adventure on Canada Day by visiting our country’s Parliament Buildings - how fitting! He watched some lively fireworks while surrounded by so much Canadian pride. Thank you for following Maurice on his Canada Day Adventure, he loves the company. Stay tuned to find out where his travels will take him next!